Kuo, of KGI Securities, issued a note to investors on Friday, a copy of which was obtained by AppleInsider, offering positive reactions to the iPhone X unveiling earlier this week. Specifically, he believes that Apples facial recognition technology will set it apart from competitors, and the full-screen design and augmented reality advantages with iPhone X will further drive sales. It's really just a question of how quickly Apple will be able to produce the iPhone X, as Kuo believes Apple won't be able to meet market demand before the first half of 2018. Further, while he previously thought Apple might be able to build as many as 50 million iPhone X units before the end of this year, he has slashed that number down to about 40 million. Any handsets Apple is unable to build this year just translate to sales next year, however. Accordingly, Kuo has increased his 2018 shipment estimates to between 80 million and 90 million iPhone X units. Regarding Face ID, Kuo believes Apple's proprietary structured light technology will be able to provide a level of security that is consistent and acceptable. And he also said that users will be delighted with facial recognition capabilities integrated into new features like Animoji. He also said that the iPhone X has the highest screen-to-body ratio on the market, which could make it the most appealing edge-to-edge handset available to consumers. 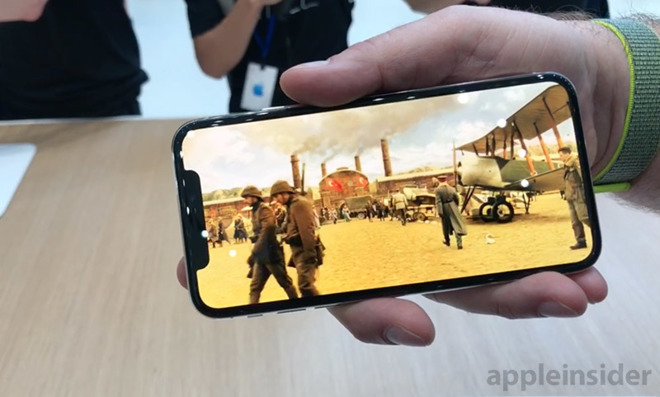 And Apple's ARKit and new cameras and sensors on the iPhone X give it a significant lead in AR, marrying software and hardware integration into an experience that will be difficult for competitors to replicate. Kuo cautioned that some investors may be concerned about market acceptance of both Face ID and the $999 starting price of the iPhone X. He doesn't share those same concerns looking longterm, however. "Amid mixed market views, we expect shares of the Apple supply chain to be volatile or even corrected in the near future," he wrote. "We recommend investors seize the opportunity to accumulate supply chain shares." 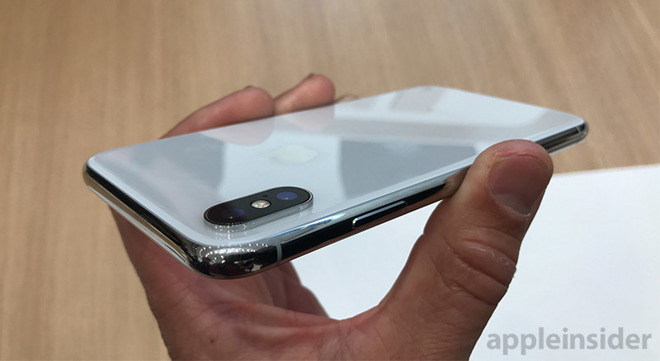 Bottlenecks for Apple and production of the iPhone X are said to include the new OLED edge-to-edge display, as well as the advanced front facing camera array that enables Face ID. Previously, Kuo indicated that Apple's current production levels of the iPhone X are limited to less than 10,000 units per day. Though the iPhone 8 and iPhone 8 Plus went on sale earlier Friday ahead of a launch in one week, the iPhone X won't be available for preorder until Oct. 27, before ultimately launching on Nov. 3.